Bird Rock is located very close off the east point of Providenciales. 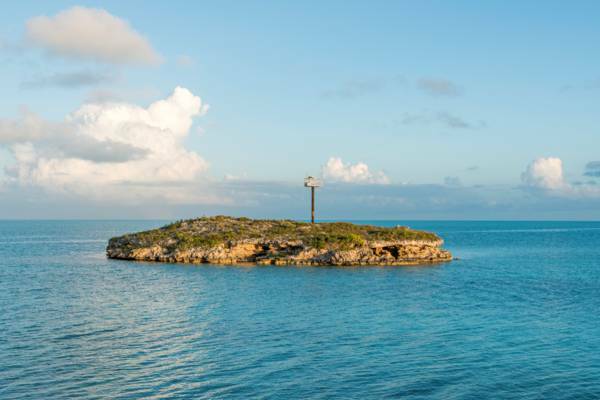 Bird Rock, a small cay 150 feet in diameter, is located on the eastern end of Providenciales. It's coastline is mostly a low rocky cliff, and is home to a light tower. It's the namesake for the Bird Rock Trail, a nature hiking trail on Providenciales. The light tower of Bird Rock. Last reviewed by an editor on 16 August 2016.